Energy Manager Today has republished a series of our blog posts as one article. Our series starts with the lead post. Is wasting energy a top priority at your business? Energy Manager Today has picked our post about wasting energy as a de facto top proritity project for many companies. How much is a kWh worth to your business? Energy Manager.ca has picked our post describing how to answer a simple question: How much is a kWh worth. In this article I have explained that in different business contexts a sensible answer to this question is different and provided examples. CIPEC newsletter “Heads Up” published a review of the project we delivered to Weston Foods using RETScreenPlus software. Ask the Expert: When and why a company should consider Energy Use Analysis? Partners in Project Green interviews Anatoli Naoumov about the value of energy efficiency work beyond saving energy. Energy Manager, a prominent Canadian magazine dedicated to Canadian news, projects and resources on energy efficiency run a feature article about results of natural gas use analysis we performed for Weston Foods bakery. What to budget for energy conservation? Maybe nothing! At selected industries in Ontario (food industry is among the lucky ones), energy conservation process can be started at no cost: fully funded through saveONenergy program. RETScreen International, a project of Natural Resources of Canada, has published a reference to our project in their Newsletter. Analysis of natural gas consumption at Weston Bakery reveals saving opportunities. Bakers Journal, a voice of Canadian Baking Industry, has published an article about results of our analysis of natural gas use. What is the payback period for this energy efficiency project? 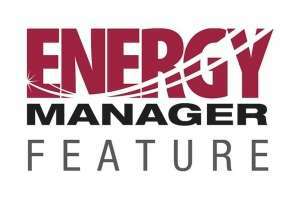 Energy Manager, a prominent Canadian magazine dedicated to Canadian news, projects and resources on energy efficiency run a feature article about the intricacies of determining payback period of an energy efficiency project. Energy Manager Today, the leading daily trade publication keeping corporate executives fully informed about energy management news, projects and resources has included an article about natural gas use analysis we completed for Weston Bakery Sudbury into Headlines of the day. Anatoli Naoumov was interviewed by Partners in Project Green for a Ask the Expert column. The topic of conversation was the conditions and value of energy use analysis in manufacturing environment. Results of energy efficiency projects sometimes come and go. To ensure that this was not the case with the project we performed for Weston Bakery Sudbury NRCan has revisited the facility. Result? Our findings have initiated a snowball of changes that ensured consistent quality of bread with predicted use of natural gas. Energy Manager Today, the leading daily trade publication keeping corporate executives fully informed about energy management news, projects and resources, has published Anatoli’s article about lighting retrofit with a 3-day payback.